He was, beyond shadow of a doubt, the world’s best. And it isn’t often, although not unknown, that we can boast a giant in a blue riband event – a heavyweight boxing champion, a Wimbledon or F1 champion. Wells ranks with any of those. He was the 100 metres gold medal winner at the Olympics in 1980. He won the title of fastest man on earth. It’s in the record books for all to see. Aye, but…he suffers from being Scottish. Sometimes, as a nation, we look for the negatives. In fact, sometimes we look for the negatives so much that we completely lose sight of the positives. You see, there’s a doubt hanging over his achievement. No, not the drugs taint trotted out earlier this year. A man is innocent until proven guilty and the evidence against Allan seems circumstantial at best. It’s the fact that the Americans weren’t there in 1980. The USA boycotted those Moscow Olympics. They were protesting about the USSR invasion of Afghanistan. That was hardly Wells’ fault. What no-one seems to remember is that he met the best America had to offer in Koblenz, in West Germany, two weeks after the Olympics. Stanley Floyd had been in great form, he was the great USA hope for Olympic gold. A young Carl Lewis was another of the four Americans in the field. They would have seen the meeting as a chance to prove that, politics aside, they’d have taken medals. 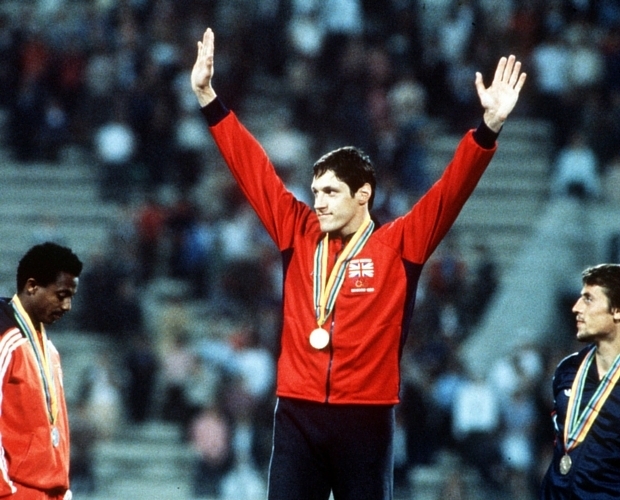 Wells didn’t have to accept the Koblenz invitation, he could have sat back, gold medal round his neck, and declared he had nothing to prove to anyone. That’s not the Scottish way. He raced them and he beat them. He powered past all four men who would have been in the USA Olympic team. He proved he was the best. But the “aye, but…” mentality still persists. Scotsmen always seem to shrug their shoulders in a self-deprecating way. We have at times specialised in snatching defeat from the jaws of victory in sporting events. “Brave Scots go down fighting” is an all-too-regular headline atop reports of our football teams, rugby teams and . . . well, just about any sport. This is in no way a criticism. Competing at international level is incredibly difficult. We punch well above our weight. We always have.